This is a systematic exposition of the basic part of the theory of mea- sure and integration. The book is intended to be a usable text for students with no previous knowledge of measure theory or Lebesgue integration, but it is also intended to include the results most com- monly used in functional analysis. Our two intentions are some what conflicting, and we have attempted a resolution as follows. The main body of the text requires only a first course in analysis as background. 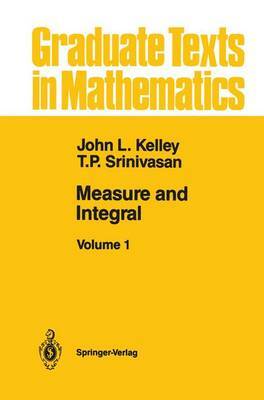 It is a study of abstract measures and integrals, and comprises a reasonably complete account of Borel measures and in- tegration for R Each chapter is generally followed by one or more supplements. These, comprising over a third of the book, require some- what more mathematical background and maturity than the body of the text (in particular, some knowledge of general topology is assumed) and the presentation is a little more brisk and informal. The material presented includes the theory of Borel measures and integration for ~n, the general theory of integration for locally compact Hausdorff spaces, and the first dozen results about invariant measures for groups. Most of the results expounded here are conventional in general character, if not in detail, but the methods are less so. The following brief overview may clarify this assertion.